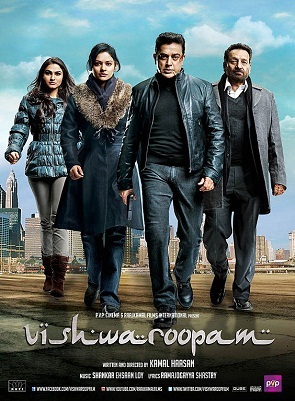 Thank you for making an otherwise ordinary movie like Vishwaroopam into a superhit. If not for your involvement in the banning of the movie, no one would have noticed the movie’s release and it would have gone into oblivion. Yes, movies are also a medium for a person to show to the world his creativity and the complex thinking mind, but when it fails to come together into a compelling story-line, it just falls flat on its face. There were innumerable occasions where the message could have been conveyed to the viewers with a “wow” factor, but it just didn’t happen. 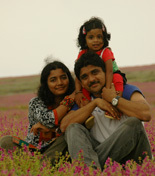 The guise of a Kathak teacher, the fact that he was involved with the Al-Qaeda, the disclosure of all this to his wife – some of the instances where there could have easily been a “twist in the tale”, but it was as if the viewers were handed over a copy of the script beforehand and told to expect things which were to happen. Dialogues like “who are you, man” (or something similar) which is said by the FBI agent to Kamal after he speaks to our PM were so “B-gradeish”! The concept of cutting back to a scene to reveal what actually happened is so cliched nowadays and i wouldn’t expect such a creative movie-maker to adopt it. Kamal has reportedly spent dozens of crores, maybe a bulk of it on the sets. If so, i fail to understand why the visual effects, particularly the bomb blasts or the helicopter flyovers were so amateurish that they seem to be straight out of a 2-day effort from a college fest. You probably can get better much effects with cheap software and a couple of chroma screens! I watched Race 2 few days after watching Vishwaroopam and in spite of being the total commercial movie it is, it had better “wow” moments than the latter. Okay, Deepika and Jacqueline Fernandes were generously shown on screen to keep the audience interested, but then wasn’t it the same with the useless roles of Pooja Kumar and Andrea in Viswaroopam? Kamal is known for his onscreen over-indulgence with the heroines, but such a thing didn’t happen in this movie. So, when a person like Kamal gets two scantily dressed women in meaningless roles into his “magnum-opus”, it looks like even he doesn’t have the confidence in his storyline to keep the audience engaged. I have been (and am) a big fan of Kamal’s movies, because i think there are not many today who can fit into so many genres and carry them off with such grace. But then, just the display of such capability will not make a movie successful. Yes, i do watch movies for their “star value”, but not just for it. Sometimes a power-star manages something better than a superstar! Next story What women want!